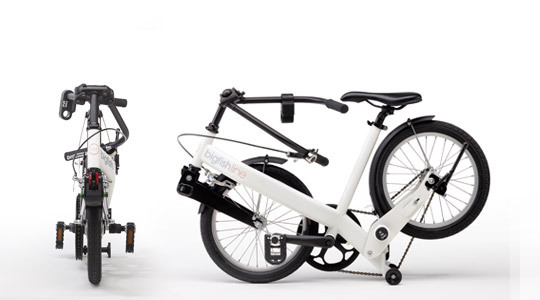 Finally a folding bike that you don’t need an engineering degree to operate. We worked long and hard to bring you this level of simplicity. 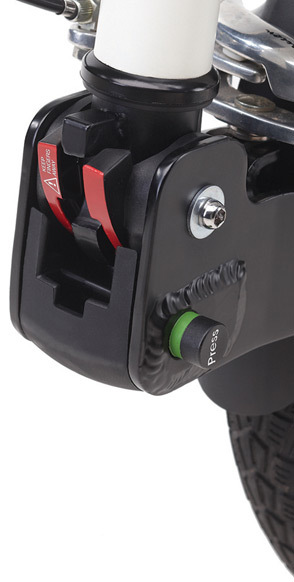 Bigfish’s button-operated fold takes mere seconds and can be carried out in any chosen order. We call this Smart Folding Technology. But what’s the point in folding simplicity, if the bike is a dog to ride? Exactly. We had to make it go like a dream, and it does just that. The full-size wheelbase, the upright riding position and the perfect transmission make for a ride that’s beyond belief. 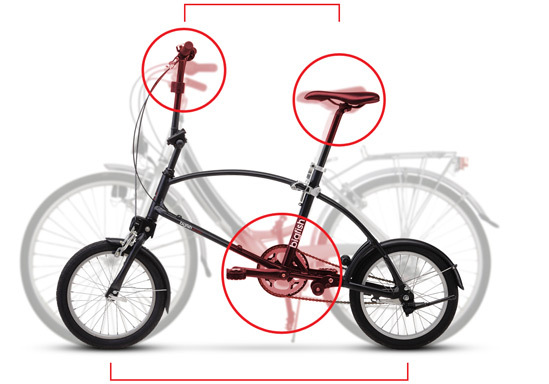 Smart Folding Technology is something entirely new to the folding bike industry. 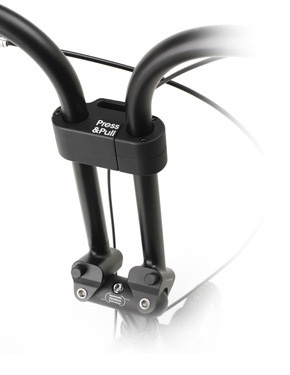 This patent pended technology allows you to fold your bike intuitively, in no specific order. Just squeeze the buttons and your Bigfish will fold or unfold in a jiffy. No screwing (no screwing around), no complicated catches, no having to be in a certain gear beforehand... It’s all designed to be so simple absolutely anyone can do it! The handlebars fold inside asymmetrically to one another, enabling optimal use of the space within the frame and thus the slimmest possible fold. The folded handles stay smoothly in place. 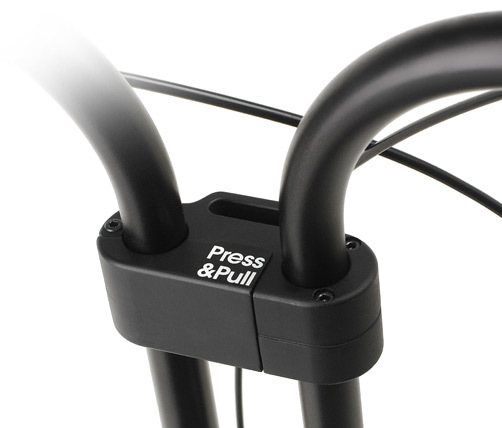 Every Bigfish comes with a multi-functional handlebar bracket serving as an attachment for the accessories and as additional safety and stability feature. Don’t let the small wheels fool you. The full-size wheelbase ensures a remarkable cycling experience, with comfort and speed. With a clear view of the road ahead, you’ll feel the stresses of the day just drifting away. Improved gear ratios provide excellent pedaling performance, making this bike a perfect choice for commuting or exploring. 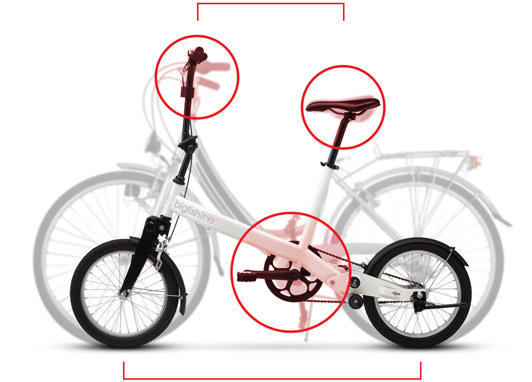 Every Bigfish comes with a multi-functional handlebar bracket serving as an attachment for the accessories and as additional safety and stability feature.